Ensure all essentials are there: Once a student receives an unconditional offer from a university in the UK, he has to keep a checklist of things like choosing accommodation, arranging finances and most importantly, to apply for Tier 4 Student Visa, if an international student outside Europe. Confirmation of Acceptance for Studies (CAS) statement is another important document given by the university to ascertain that the student can financially support himself and pay tuition fee. A student can also utilize National Health Service by paying health surcharge to avoid unnecessary medical expenses while studying in the UK. Student Bank Account: It is mandatory to open UK bank account before planning a trip, which again spans from week to months. So in order to relieve from such problems, the international student can apply for UniZest account by obtaining an unconditional offer from university and identity document. This helps him to open UK account in an easy manner. The student can use this account being in his home country and will receive a Contactless debit card in UK accommodation address after arriving there. Parents can transfer money into his Aspire Account due to this integrated and customized foreign exchange service (FX). Unpredictable weather: Student has to prepare himself for the vagaries of weather ranging from strong sunshine to sudden outbursts of rain, sleet and snow. It is better to carry a waterproof jacket, warm scarves, coats and gloves, as quoted by the Study International. A New Environment: It is normal for students to feel homesick for being distanced away from his respective hometown during the early stages of the university experience. But it becomes easier to build a strong relationship with the country once they make friends and tour along with them to explore some of the exciting spots there. 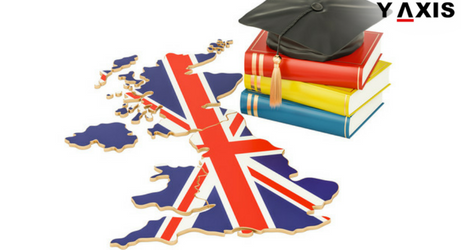 So grab the opportunity to study in the UK and pave the way for a prosperous future. Y-Axis offers a wide range of visa services and products to the aspiring overseas students including Study Visa for USA, Study Visa for Canada, and Study Visa for Australia. If you are looking to Study, Work, Visit, Invest or Migrate to the UK, talk to Y-Axis, the world’s No.1 Immigration and Visa Company.